Many home buyers do not realize that purchasing a condo is a completely different scenario to purchasing a freestanding home. As a result, they often end up stuck with properties that they are not happy with for various reasons. Below are a few important questions that should be asked before purchasing a condo in Philadelphia. This is probably one of the most important questions to ask before signing on the dotted line for that dream condo. If you are a devoted pet lover and the condo block you are looking at does not allow pets, you may want to look elsewhere. It is also essential to inquire about rules pertaining to any home improvement projects, as many condo blocks insist that everyone’s units look the same on the outside – in some cases, this may even pertain to the plants you are allowed to have in your yard or whether kids are allowed to live there or not. If you are unsure of what any of the rules mean, it is recommended to seek legal advice before agreeing to them. 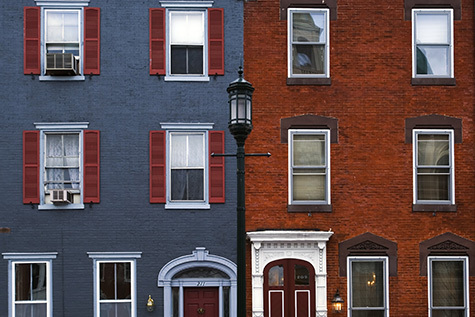 Before buying any condo in Philly, it is crucial to have at least one face to face meeting with the building manager. In addition, it is strongly recommended to speak with a few of the neighbors to find out what the management is really like. In most cases, they will be more than willing to share information pertaining to how the management works, what the monthly maintenance fees are (if applicable) and what other members of the management team are like (if there are any). All condo units will have complaints of some sort; however, some will be more serious than others, especially if nothing is being done to resolve issues as they arise. One of the best ways to determine what the main complaints are is to request copies of minutes from previous meetings, and another option is to chat with current owners in the building. This is usually one of the biggest sources of dissention within condo communities – some cover all forms of repairs and maintenance, while others only cover basic services such a trash removal and the odd coat of paint on the outside of the property. Always find out what your condo fee will cover before agreeing to move in or purchase a unit to let. Condo communities are often known for having a lot of drama and litigation. If it isn’t owners suing each other, they may be suing management or even the developer of the building. Before purchasing in any condo unit, it is essential to check that there is no outstanding litigation – it can be a sign of a community that is badly managed or an indication of there being neighbors who are willing to sue each other over the smallest transgressions. If you receive satisfactory answers to the above mentioned questions from condo management or existing tenants, chances are that it will be a good building to purchase a unit in. You will then be able to look forward to being able to settle happily and enjoy many years of virtually trouble-free living. This entry was posted in Blog and tagged buying philly condo, philadelphia condo by Scott Li. Bookmark the permalink.